There’s no doubt about it — summer is most students’ favorite time of year. This special season is filled with laughter, sunshine, and a limitless sense of freedom that is exciting and inspiring to kids (and really, to people of all ages!). Whether your kids are spending their summer vacation at a faraway beach or amusement park, or whether they’re simply relaxing and exploring here at home, they’re sure to be having lots of fun and enjoying their new routines. 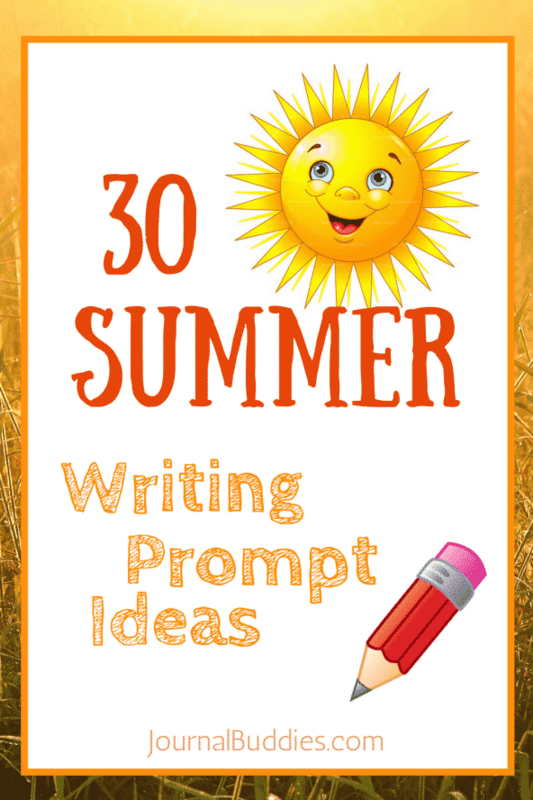 In these 30 new journal prompts, students will reflect on everything that makes summer such a unique time of year. 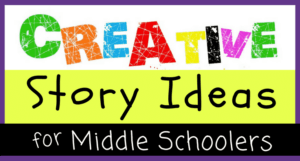 As they consider topics like summer camp, sandcastles, and time away from school, they’ll have the opportunity to reflect on how wonderful it is to spend your day doing whatever you like. And when they consider more topics like their favorite summer holidays, songs, and treats, they’ll get to consider the unique preferences and characteristics that define their personalities and make them who they are. 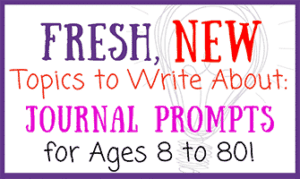 Summer is a great time to encourage kids to keep writing and reflecting—and with these fun and festive summer journal prompts, your kids won’t even feel like they’re doing any work! Does summer feel different than other seasons to you? Why or why not? Do you ever miss going to school during the summer? Why or why not? Does your family have any summer traditions? What makes them special? July is National Ice Cream Month. How will you be celebrating this important holiday? Do you prefer having a single three-month long summer vacation, or would you rather have the time away from school broken up more frequently throughout the year? Why? Imagine that you and your friends are going to build the world’s largest sandcastle. What kinds of rooms would you put inside? What cool features would the castle have? Pretend that you are a tour guide for someone who is visiting your city for the first time. What would you do to show them around? Would you rather spend time indoors or outdoors during the summer? Why? 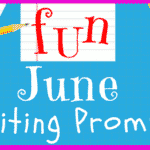 What part of summer do you look forward to the most every year? Why? Have you ever gone to summer camp? What did you like about it? 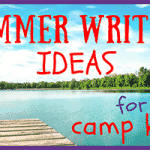 If not, what type of summer camp would you want to attend? Go outside and spend 15 minutes thinking about what you can see, smell, hear, feel, and taste during the summer. 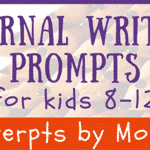 Then, write about your favorite ways to experience these senses. What is your favorite summer holiday? What do you like most about it? 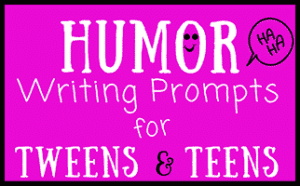 Write a story about three kids who get to experience a never-ending summer. Do your parents let you stay up later during the summer? Why or why not? If so, what do you like to do with the extra time? If you could travel anywhere in the world this summer, where would you go? What would you do there? 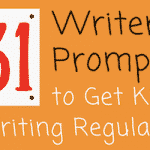 Write about your favorite 4th of July memory. What made that holiday so special? Do you ever spend time studying during the summer? What do you try to learn? Would you rather be way too hot or way too cold? Why? Go outside to your backyard and pretend that you are an explorer. Try to examine everything up close and from a different perspective. Then, come back inside and write about what you learned. 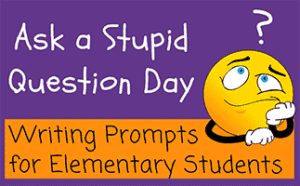 During the summer, how often do you get to see your friends from school? What is your favorite thing to do with your friends during the summer? 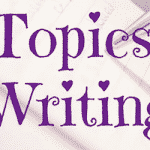 Write about three of your favorite things to do around town during the summer. 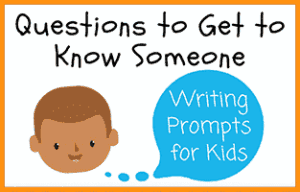 Then, see if your parents will take you to one of them and write about your experience when you return home. What is your favorite thing about the warmer weather? 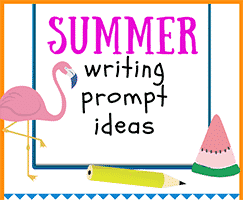 Write about your favorite summer activity (such as going to the beach, setting off fireworks, or getting treats from the ice cream truck). What do you love most about it? What is the coolest place you’ve ever visited? What do you love about it? 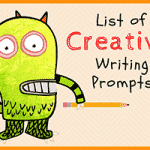 Write a poem about your thoughts on the sun. What do you appreciate about the sun? When is it simply too hot? How do you think people stayed cool during the summer before air conditioning and fans were invented? Would you have ever wanted to live during this time? Why or why not? Have you ever gone on a camping trip? If so, what was the best part? If not, do you think you would enjoy being out in the wilderness? Why or why not? 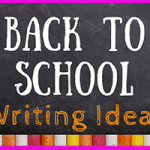 Write about a time when your family went to a festival or carnival during the summer. What do you remember the most? If you could only choose one activity to do every single day during summer, what would you pick? Why?